Spring may well be the best time of year to visit Yosemite National Park, and this spring is no exception. Record snow falls in the Sierras have translated into record snow melts. The result of all that melting ice is some of the most spectacular Yosemite waterfalls in generations. Only three waterfalls at Yosemite flow year-round. Most dry up by early August, including Yosemite Falls, America's tallest waterfall. But this spring, thanks to the massive amounts of snowfall, Yosemite's waterfalls are pouring down massive amounts of water and are expected to continue flowing with great force for several additional weeks. Visitors to the park say it's like nothing they've ever seen before. Even experienced Yosemite park rangers have been blown away by the beautiful Yosemite waterfalls. Yosemite Falls itself is said to be pouring down enough water to fill a gasoline tanker truck every 2 seconds. The equally beautiful Bridalveil Falls is pouring down so much water that the mist it creates is clouding the entire meadow below. In fact, there's so much water pouring down Yosemite waterfalls that a number of new, unnamed waterfalls have popped up all over the park. In dry seasons, some of Yosemite’s named waterfalls only flow for a few weeks, and some years they don’t flow at all. The emergence of new waterfalls is like Yosemite is experiencing this year is simply unheard of. Yosemite's Merced River is flowing at about 1600 cubic feet per second. That's fast enough to pull objects down the river at more than ten miles per hour. Visitors to Yosemite are warned to be careful around the waterfalls and the river. That much water, while astoundingly beautiful, can also be very dangerous if not properly respected. Even creeks and streams that usually just trickle have strong flows that can be dangerous. The increased flow has led to the closure of a few of Yosemite's campsites. Countless people have been drawn to Yosemite this spring to witness the spectacular beauty of Yosemite waterfalls. Don't let your family or friends miss out on this once-in-a-lifetime experience. Call Scenic Wonders today to make your Yosemite lodging reservations. At Scenic Wonders, we offer Yosemite cabins, home, and condominium rentals within the gates of the park. 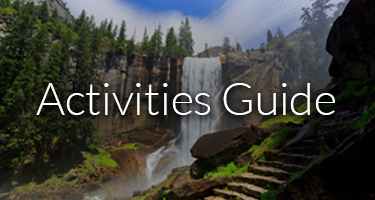 By booking with us you'll be just minutes away from some of Yosemite's most beautiful waterfalls and a plethora of other exciting park activities. Whatever you do, make your reservations soon. Spring is always popular at Yosemite, and the spring is destined to be a record. Particularly with the closing of some Yosemite campsites, Yosemite lodging options are bound to book up in no time. 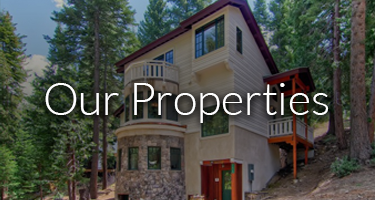 With Scenic Wonders, you can be sure that your Yosemite lodging will be comfortable, convenient, and a perfect complements to your memorable Yosemite vacation. 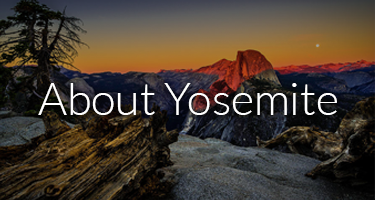 Unlike other Yosemite lodging options, we at Scenic offer a variety of accommodation options to meet our customer’s varied needs.